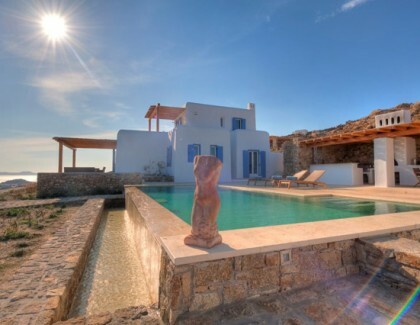 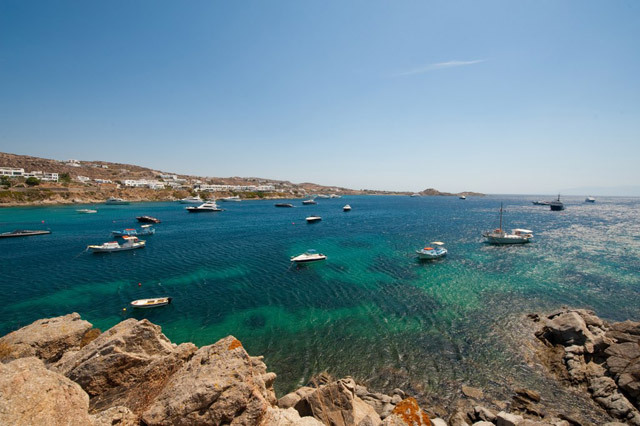 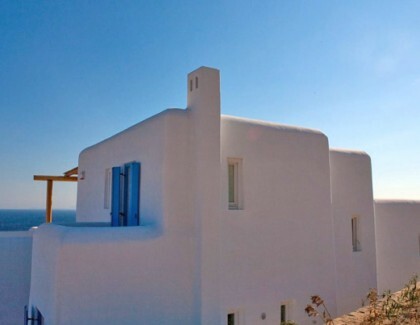 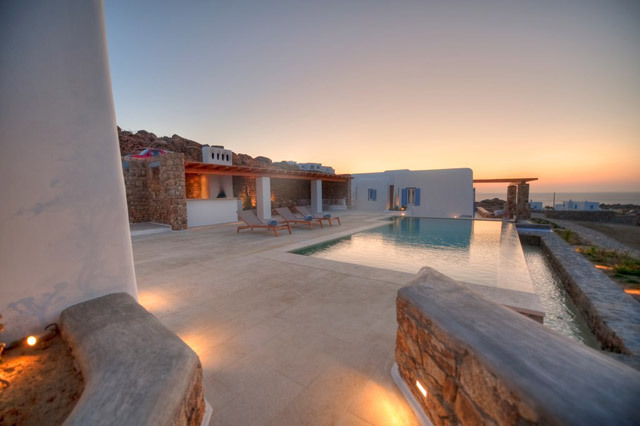 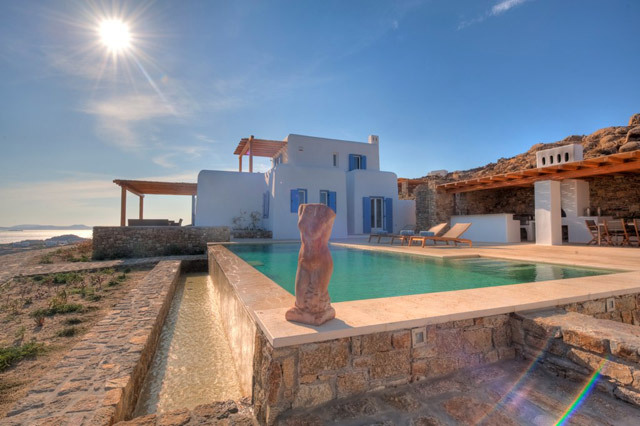 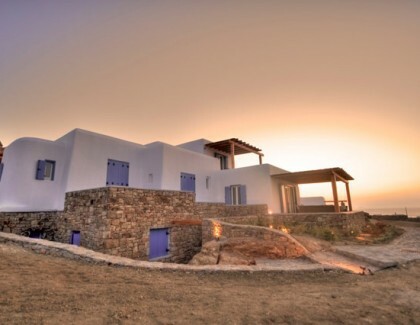 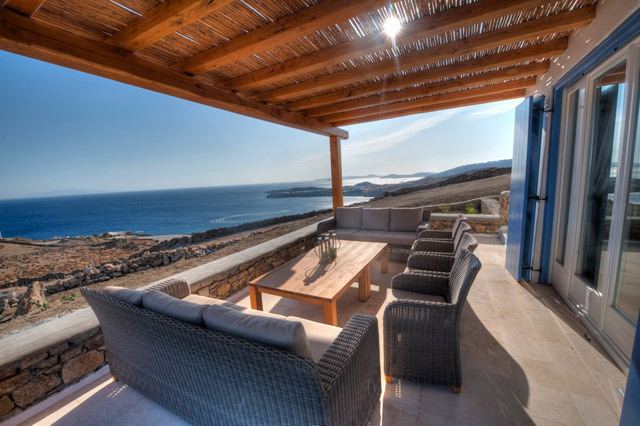 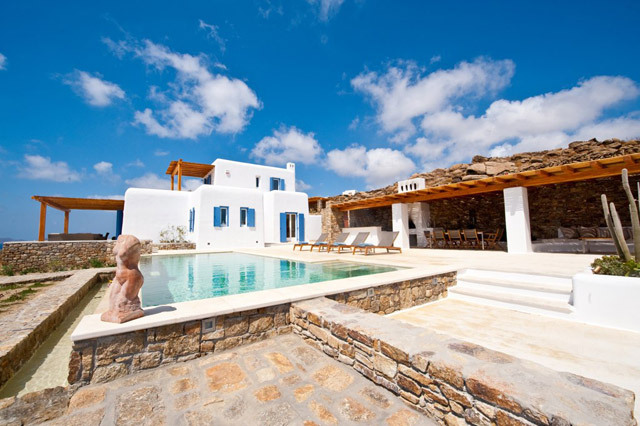 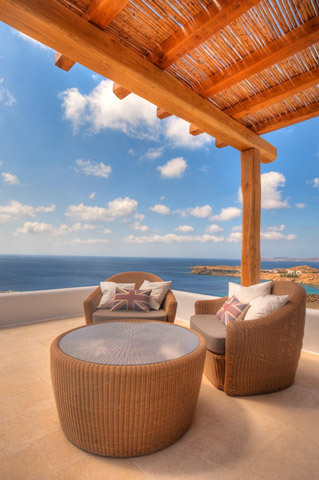 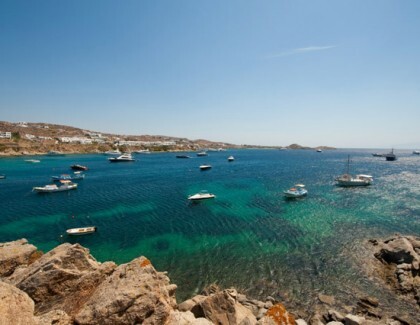 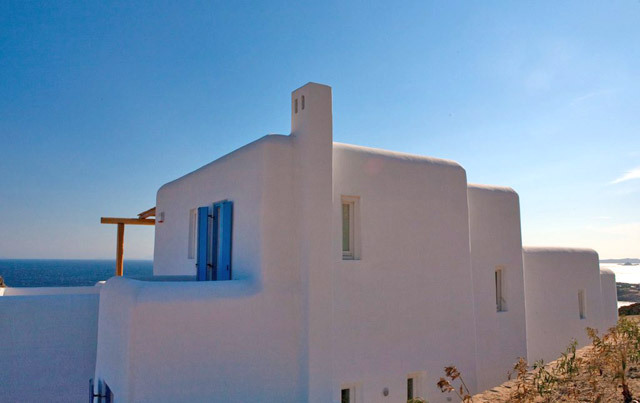 Karma Pelikanos is an exclusive 8 bedroom villa located in Pirgi (above Cavo Paridiso) with spectacular 180 degree views of the Aegean Sea. 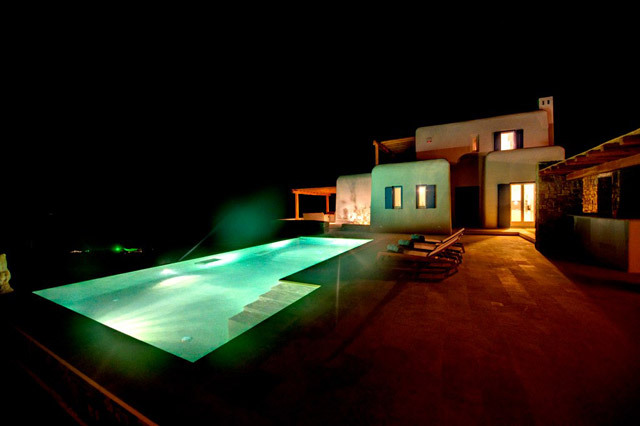 Compromising three separate villas, sleeping a maximum of 15 guests, (5 double & 5 single beds). 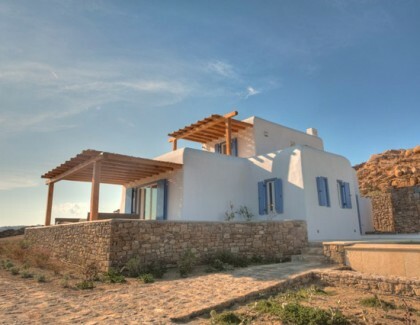 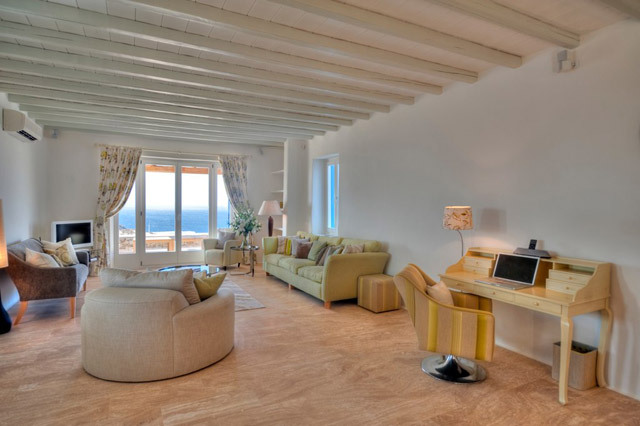 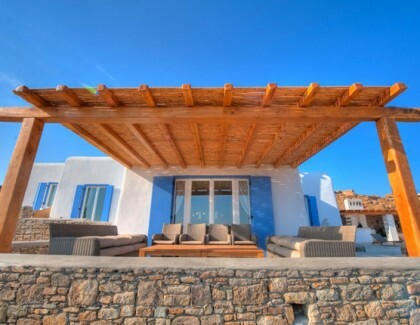 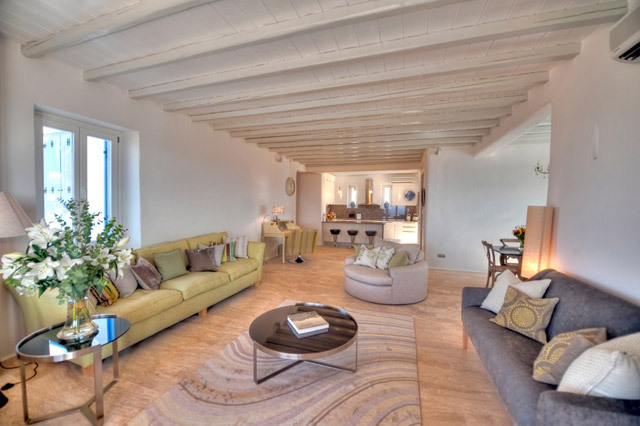 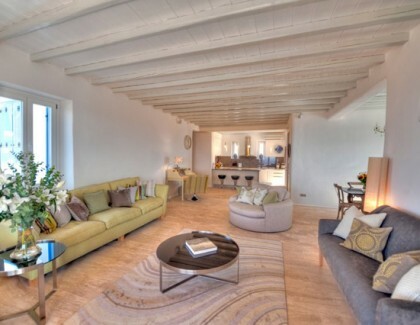 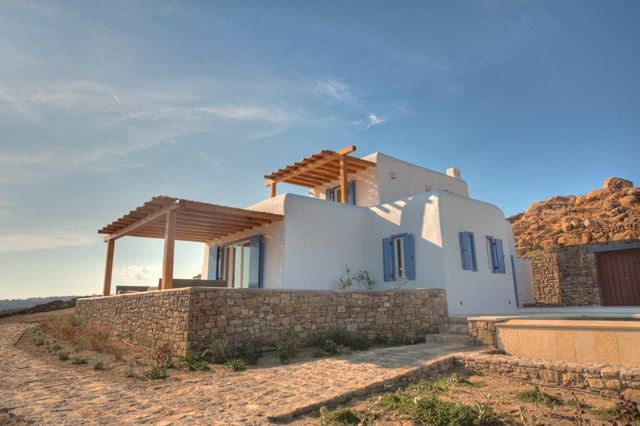 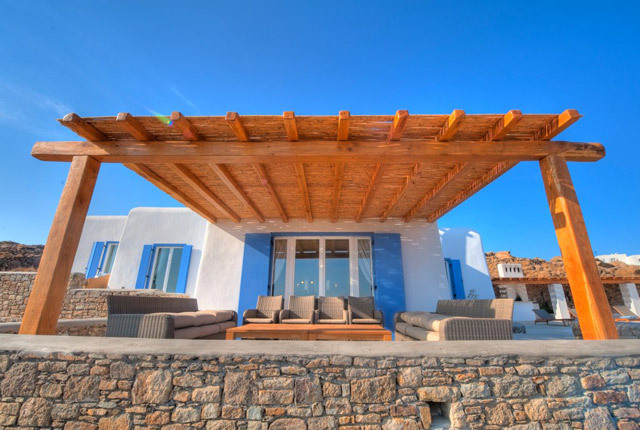 The Main Villa & Guest Villa, both house two double bedrooms & one twin, all of which have en- suite bathrooms, outdoor patio seating area & air conditioning. 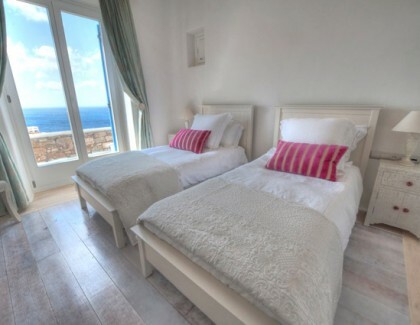 The Studio apartment has 1 double bedroom and 1 single bedroom that share a bathroom, small sitting room and kitchenette. 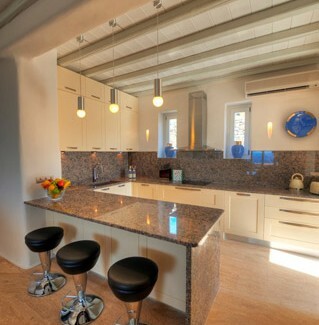 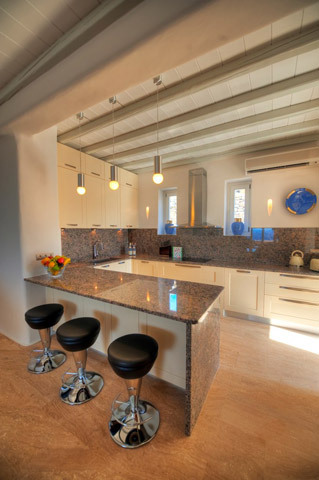 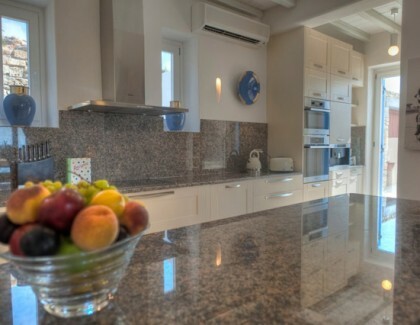 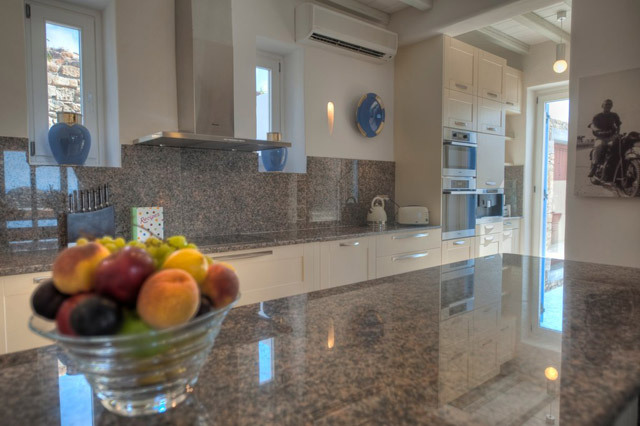 The main villa has an open plan kitchen with modern, high tech appliances and a large spacious sitting room and dining area. 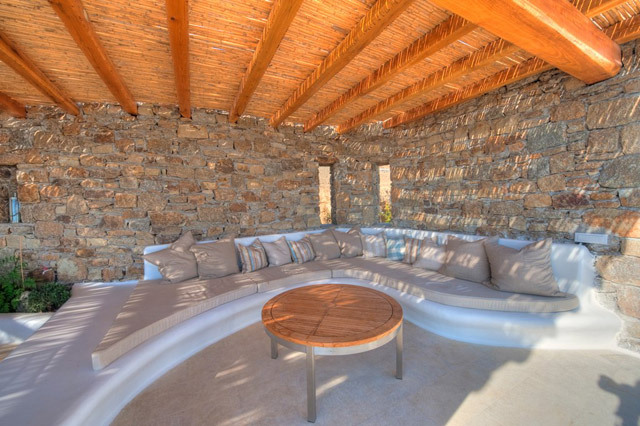 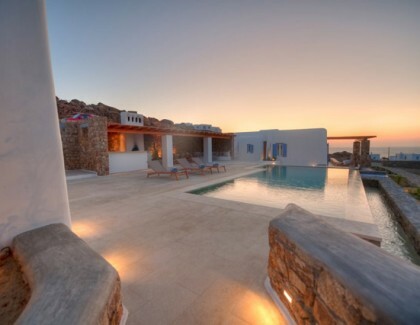 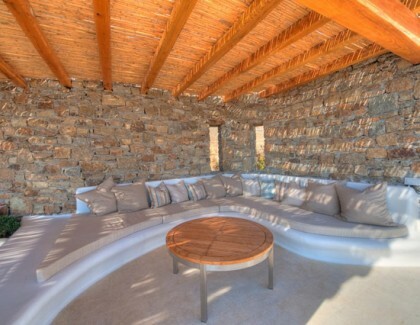 There is also an outdoor BBQ area, several sitting areas and the heated infinity pool. 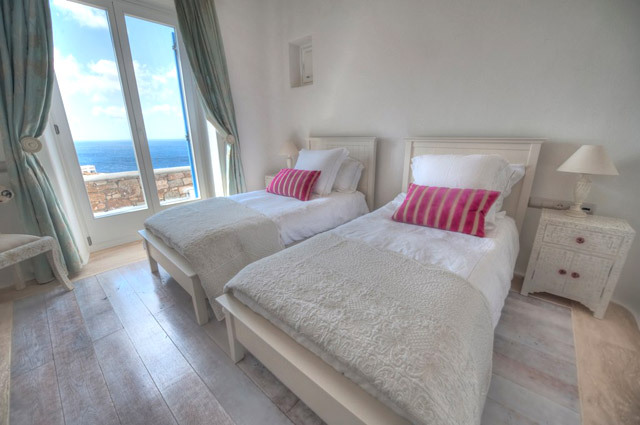 Staff are on-site in two bedrooms located in the basement area, for your privacy. 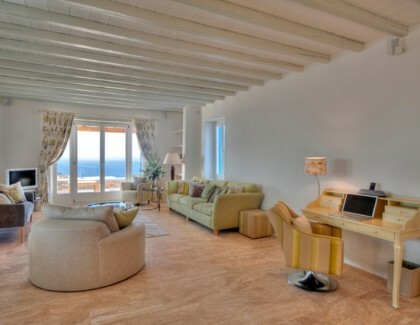 Concierge and housekeeping services are provided, approx 6 hours per day, 6 days per week. 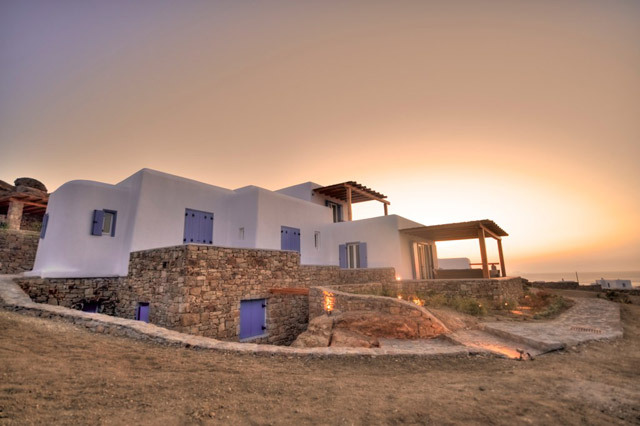 A Jeep wrangler is available at the property for guests use throughout their stay. 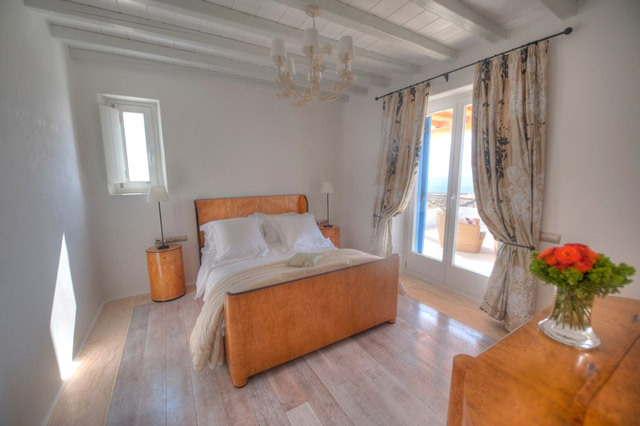 Rates are based on 3 nights minimum stay, rates for 5 nights and more on request.